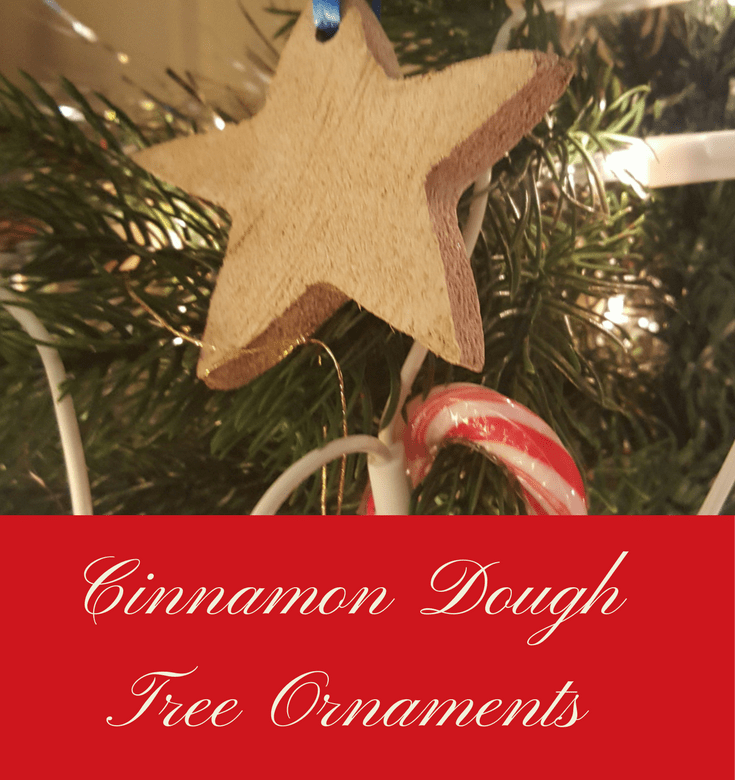 These no-bake cinnamon dough tree ornaments smell lovely and dry a nice light brown colour. You can leave them as they are or paint them. Mix all the ingredients together until a dough forms. Knead the dough for around 5 minutes. Roll out the dough to the desired thickness. We rolled it to about a centimetre thick. Choose a selection of Christmas cookie cutters. Cut out the shapes, re-rolling the dough to get as many decorations from the dough as possible. Using the straw, make a hole in each decoration for the ribbon. Let them dry for a few days. They’ll go quite light when they’re fully dry. Thread ribbon through the holes and hand on the Christmas tree.